The holidays are here and there is so much to do! But are you feeling too tired to keep up with it all? You are no doubt becoming busier and your calendar is getting full. Christmas is fastly approaching, and there are lots of preparations to be made. If you’re behind on your Christmas shopping, then that is weighing heavily on your mind, as well. You have gifts to buy, parties to attend, friends to see, and all the while you still have to find time to go to work, do the grocery shopping, make dinner, and shuttle the kids to their various activities. 1. Don’t skimp on sleep – A good night’s sleep is crucial for restoring energy and rejuvenating mind and body. 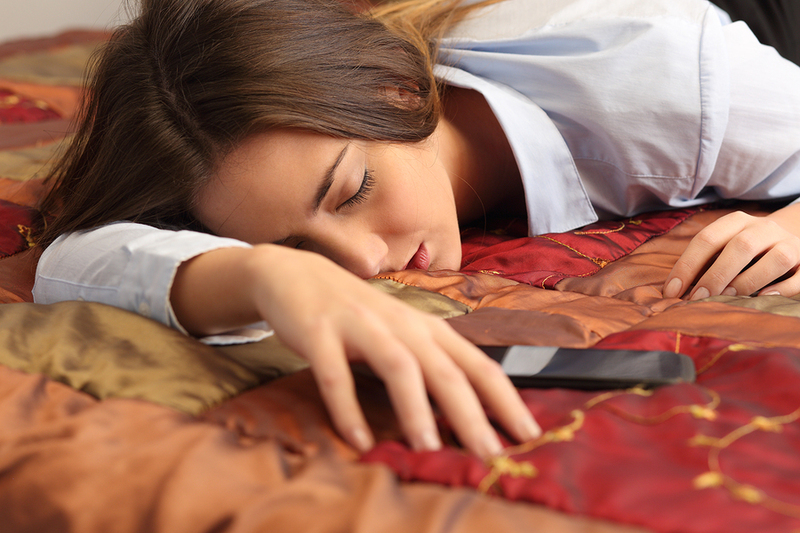 If you are dragging at midday, then an afternoon nap can help give you more energy, too. Dr. Hotze’s Sleep Formula was created to support a restful night’s sleep by helping you not only fall asleep, but stay asleep, too. And because of its natural ingredients, it is non-habit forming and non-addictive and won’t leave you feeling groggy the next morning. 2. Get up and move – Physical activity boosts energy levels because exercise helps the blood flow and carry oxygen and nutrients to the muscle tissues in your body. 3. Make time for healthy meals – Always eat a healthy breakfast to start your day off strong. Incorporate lots of fruits and vegetables into your meals. Avoid foods such as sugar, soda, coffee, grains, dairy products and simple carbohydrates, which can initially give you a quick energy boost, but are always followed with a dramatic drop in energy and can cause fatigue. 4. Pace yourself – Don’t try to do too much – prioritize your time. For instance, plan to buy a few Christmas gifts each week starting in November. Take time for yourself each day to relax and have some downtime to prevent burnout. 5. Take a quality multivitamin – The busier you are, the more energy your body will use, so don’t forget to support your body’s energy needs. Stress and increased activity deplete the body of vitamins, minerals and nutrients. 6. Take Vitamin C to support the adrenal glands – The adrenal glands, which produce the hormone cortisol, use a high concentration of vitamin C. Cortisol enables us to handle stress, however when our cortisol levels are low, we begin to feel the symptoms of adrenal fatigue. This happens because our adrenal glands cannot keep up with the high demand of cortisol needed by our body. 7. Drink plenty of water – Dehydration depletes energy. 8. Don’t forget to eat protein – Insufficient protein is a common cause of fatigue. When you are on the go, carry a protein snack with you such as almonds, walnuts, peanuts or cashews. 9. Don’t forget to take your bioidentical hormones – When we get busy we can forget to take our daily natural hormones and thyroid supplementation. Make an extra effort not to miss a dose by gathering your pills into a pill box each night so that they are ready to take the following morning. Balanced hormones are crucial to feeling great and energized. You want to keep your thyroid function at its best so that your metabolism will be able to keep up with your body’s extra demands during the holidays. 10. Take Vitamin B12 – Vitamin B12 helps create red blood cells that carry oxygen throughout your body. It is crucial for nerve health and vitamin B12 helps prevent anemia. As we age, the hormonal balance which gave us energy in our younger years declines. Correcting hormonal imbalance and low thyroid function can be the key to getting back your energy and zest for life. Take our symptom checker health quiz to find out if you have symptoms of hormonal imbalance that could be contributing to your fatigue. I like what this article recommends about not skimping on sleep. It makes sense that this could be problematic due to the increased stress of the holiday season. I think going to the doctor to make sure I don’t get sick like I did last year could be helpful as well. Spot on! I definitely think diet has a huge impact on your energy! We love breakfast and fruits and veggies help us get through the day! !